The initial inspiration for the project came from a recording of this vintage machinery at work that was originally made by Ian Rawes of The London Sound Survey. 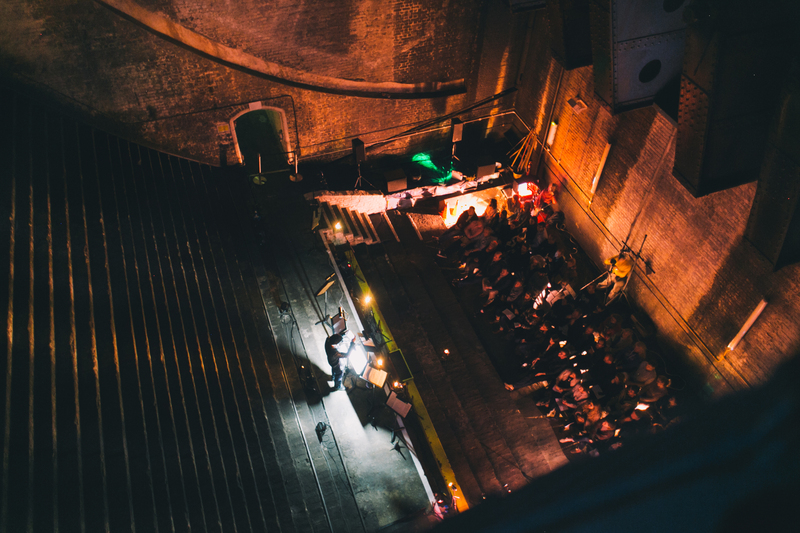 Iain Chambers’ coming across it proved to be the catalyst for an original composition ‘Bascule Chamber’ in which the brass section of the Dockside Sinfonia play along with the sound of the bridge to uncanny and beguiling effect. Before long this unlikeliest of stages was set for a series of concerts featuring two more original compositions by Iain and an interpretation of John Cage’s ‘Aria’ by the soprano Catherine Carter; each performed live and taking full advantage of the chamber’s unique acoustics. It doesn’t take much imagination to realise just how far up my street (or hidden somewhere beneath it) all this activity is, particularly as I’m a huge fan of both The London Sound Survey and Langham Research Centre, the radiophonic performance group of which Iain is a key member; so I’m aware of the potential for accusations of bias. Nonetheless, I feel no hesitation at all in labelling these events a triumph and it would certainly appear that the enthusiastic reception from the crowd bears me out. Equally, so does the many disappointed people I’ve spoken to since who didn’t manage to get tickets. All I can say is that I hope my report gives some flavour of what went on down there and that apparently the concerts will be broadcast in full on good old Resonance FM at some point soon. 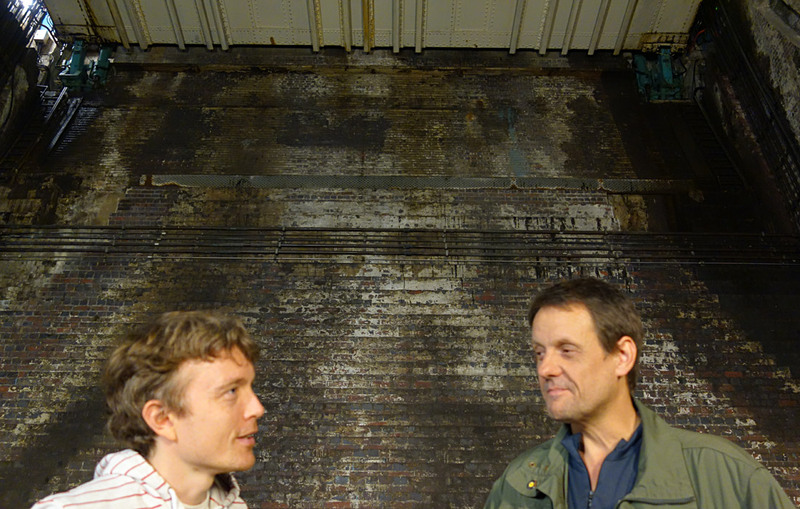 Plus you can find both of these estimable gentlemen discussing the project and much more on the London Sound Survey blog here. Composer Iain Chambers and sound recordist Ian Rawes on site comparing notes. Poorly-focused photography by me. Moving on and continuing a busy weekend (though thankfully with less sprinting), I’d also like to present a few images from last Sunday’s sound installation at Mansion House in St. Helen’s Square as part of Vespertine York‘s latest sold-out event: A new sound-work created entirely from magnetic tape and the various ticks and chimes of the numerous antique clocks that until recently had populated this now empty shell. 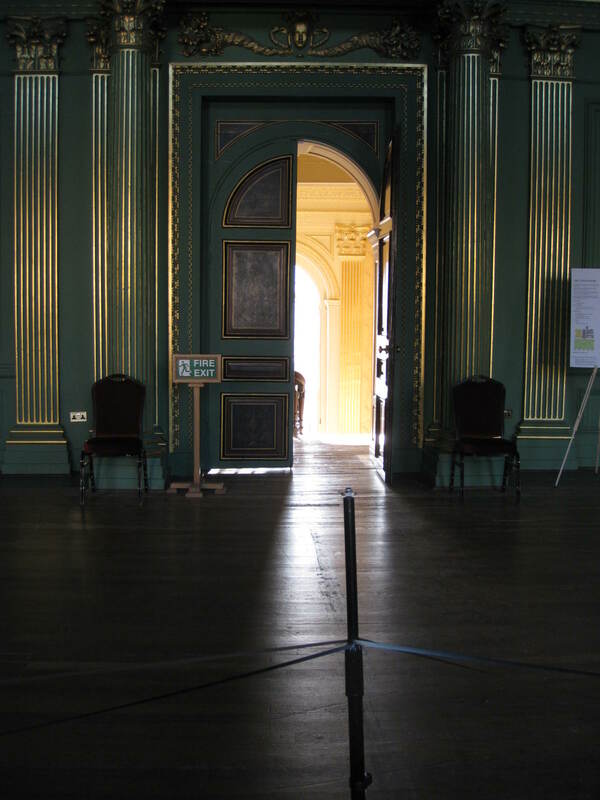 Vespertine cordially invites the people of York and beyond, to a guided tour of the Mansion House with a twist! 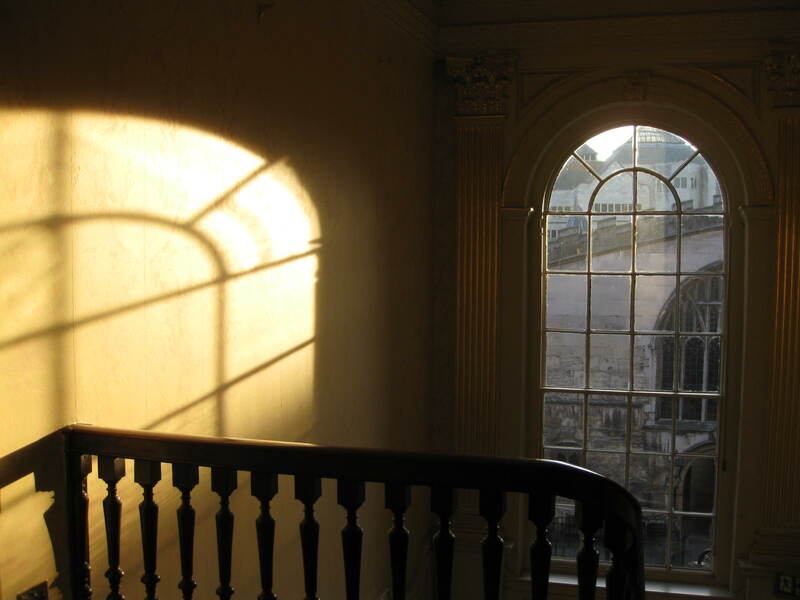 This event will be a rare opportunity to see the Mansion House as it is awaiting renovation; the unfurnished, raw building will provide the perfect backdrop for performances and music. The source material was collected a month or so beforehand. In the intervening period all of these vintage timepieces were removed, along with the furniture, carpets, paintings and other fixtures, pending the building’s year-long closure for extensive refurbishment. It was a strange experience indeed to bring these recently gathered sounds back to the newly bare walls and exposed floorboards – almost like filling this grand building with the memories of its own departed furniture. The results were very positively received by the groups of visitors touring the house, with one even moved to compare it to the soundtrack to Tarkovsky’s Solaris. That, my friends, is one way to make me very happy! Also on the bill were the truly remarkable Sheffield-based anti-choir Juxtavoices and the multi-instrumentalist duo McWatt – both well worth checking out – plus food, drink, games, stories and more. And all for free! No wonder it sold out so quickly! 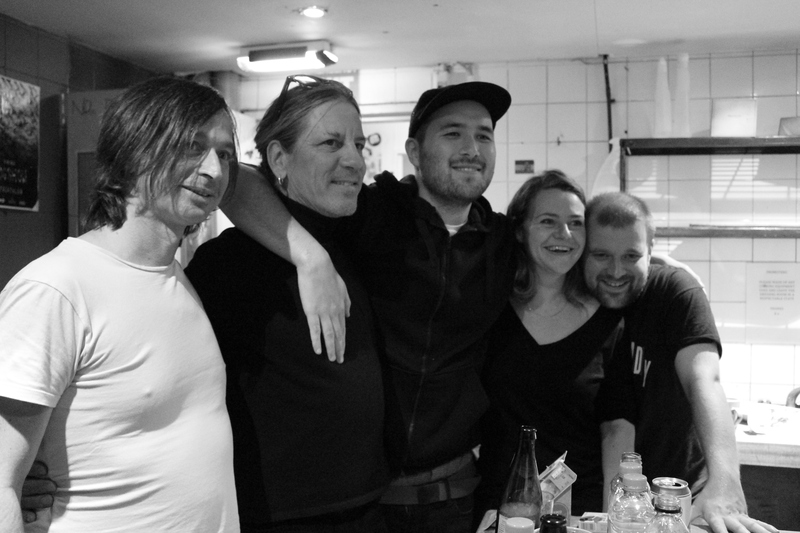 Thanks very much to everyone who came along and showed their support and to Vespertine York for being such amazing hosts and for giving us such an awesome space to play with. It’s the latest in a series of events they’re curating, so their website is definitely worth a perusal and you’re advised to book your tickets early. And as a last-minute edition to today’s business, I’m happy to announce that I make an appearance in the latest issue of Caught By The River‘s regular publication An Antidote To Indifference, writing about some of my adventures in tape, alongside articles by Melissa Harrison, Chris Watson, Richard King, Emma Warren and many more. This is the second issue to be edited by legendary sonic curator Cheryl Tipp of the British Library’s Sound Archive (amongst many other goodly works) and thus promises to be even more of a cracking read than usual. Pre-order your copy here. Should architects and designers think more about using sound in new and exciting ways, rather than only focusing on acoustics? Our speakers all use sound innovatively from those that ‘play’ a building, to creating soundscapes that react to spaces and engage audiences in new ways. The panel includes Martyn Ware, founder member of iconic bands Heaven 17 and The Human League, who now creates 3D immersive audio landscapes with architects, artists and brands through his company Illustrious, designer Tomas Klassnik, and sound artist Robin the Fog, who will create a bespoke sound design for 100% Design. Chaired by David Michon, editor of Icon. You might remember I blogged quite excitedly about visiting Olympia back in August and being given free reign of the building to explore and record. 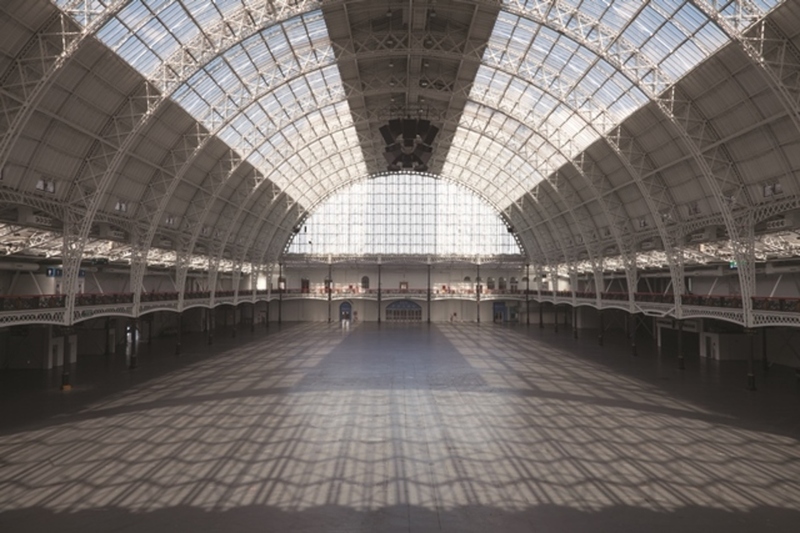 At the time the venue was a blank canvas being cleaned, maintained and generally prepared for this major four-day exhibition. The above work, commissioned by 100% Design derives from making a series of recordings of the naturally-occurring sounds of the building at work (band-saws and other tools, scissor-lifts and other maintenance vehicles, cleaning brushes etc.) along with various objects that I came across on my travels round the building, including doors, windows, temporary fencing, coat hangers and so on. The staff were kind enough to then let me take these recordings and play them at high volume through the venue’s PA system, using Olympia’s high arched ceiling as a giant reverberation tank – the biggest space I’d ever had the pleasure of working with and a glorious cacophony that somehow didn’t distract the cleaning staff from their appointed tasks one bit. Who knows, perhaps this sort of thing is a regular occurrence? …And to think until today I’d never heard a recording of my thumb amplified through the public address system of major exhibition venue! Thanks to 100% Design for having me, to Martyn, Thomas and David for being such fascinating company and to everyone who expressed an interest in my work. Sadly, due to some sort of annoying technical hitch I was unable to play an extract from Jacob Kirkegaard‘s 4 Rooms, which was a tremendous shame as it was a terrific example of one of the points I was trying to make about working with particular acoustic spaces – is it pure coincidence that these recordings of abandoned public spaces in the Chernobyl sound so desolate, lonely and foreboding, despite being in essence just recordings of amplified silence? Or does our awareness of the tragic history of these rooms and the inherent dangers of returning there have a part to play? 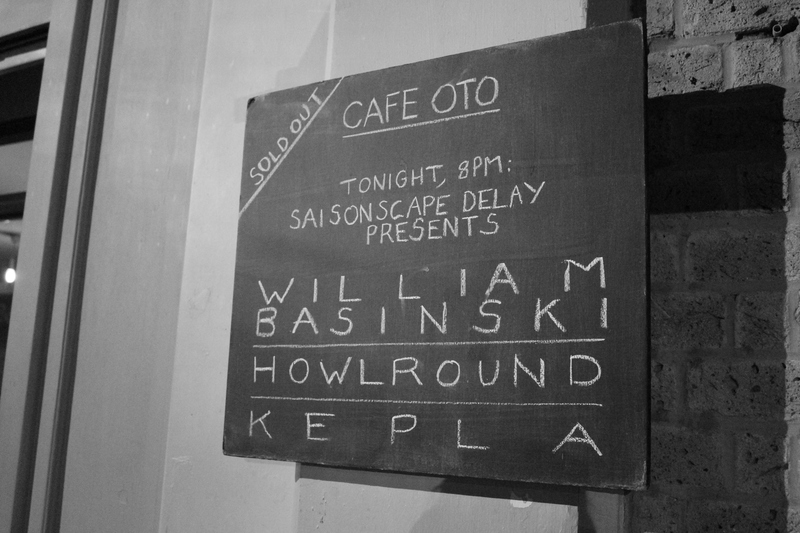 Must also thank everyone at The Kazimier as well as Cafe Oto in London and Salford’s Islington Mill for their warm welcome. I haven’t had a moment to go through all the recordings yet, but doubtless more audio from these events will surface before long. The response from the crowd each night was hugely encouraging and bodes well for the imminent release of our new album…. but more on that later!